To be sold, on the morrow at market, my wife, Rose Ham. She is stout of body, standing firm on her posterns. She is strong and can sow and reap. She stitches a fine seam and can read and do sums. She is headstrong but, if managed properly, will follow meekly any man’s lead. Rose stood on the auction block, praying to better her life. But as the illegitimate daughter of a nobleman and the wife of a drunken sot, she doubted her prayers would be answered—especially with the louts gathered around her. A stranger steps up and answers her prayer, but something’s amiss. Her clothing, which once hugged her body, now hangs loose and her long, blonde hair is shockingly short and dark. It isn’t long before she discovers the unbelievable—she’s in another woman’s body and over two hundred years in the future. 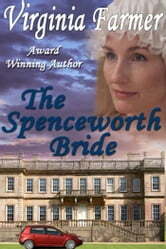 As the last living male in the Warrick line, Adam Warrick inherited Spenceworth and the title to go with it. Unfortunately, becoming a modern-day English earl didn’t include the funds to repair and maintain the manor. 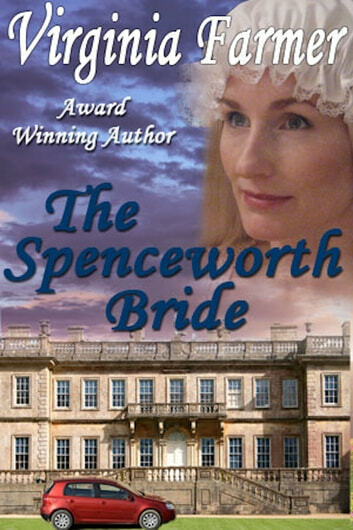 While checking out the local tourism in a nearby village, Adam finds himself participating in the reenactment of an eighteenth century “wife sale.” Little does he know that the “wife” he purchased for a mere pound had lived at Spenceworth in another era and will become his priceless Spenceworth Bride. I found this book to be so boring that i did not even finish the book...... boring , boring , boring..